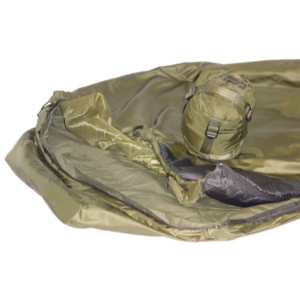 The Jungle Bag has been adapted from the Travelpak 650, with the same weight and fill, as this bag, however we have introduced a roll away mosquito net which zips into the hood of the bag to cover the face keeping you free from unwanted mosquito, midge and other insect bites. 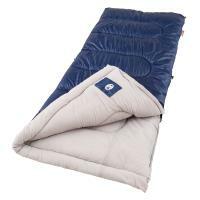 Another useful feature of this bag is the square bottom and double zip system that allows the bag to be used as a quilt or blanket. Available in Military green as the Jungle Bag, or in Red, with black netting as the Travelpak Traveler. The outer of the Travelpak is a 'Micro Diamond Ripstop'. The mini diamond weave and the lustre of the yarn give a unique look and handle to this bag. 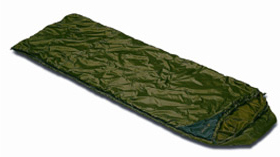 'Lightweight Tactel® Nylon' is the lining of the Travelpak. This lightweight fabric has high wicking properties, which draws away moisture from the body, making it comfortable, breathable and fast drying. The inner filling of the Travelpak is 'TravelSoft'. Tailored to Snugpaks exact brief, this ultra lightweight, high loft, insulation is the new fill of the Travelpak range of bags. Thermally insulated, 'finer' fibres are used which have excellent compressibility. By design, these travel orientated fibres provide an even lesser bulk of fill than that of other SnugPak bags, yet still are able to perform highly efficiently. The weight of the fibre make it the perfect fill for the Travelpak; Snugpaks smallest 'packsize' bags. Pocket:	Small pocket in lining. Compression Stuffsack: Compresses to Micro pack size. Layering capability: Bag can be teamed with a liner  a 2 season bag can become a 3 season bag. Snugfit hood: Fitted with a draw cord so pulls into shape like a jacket hood , minimizing heat loss. Zip baffle: Prevents heat loss through zip. Hanging tabs: For hanging bags for airing and drying. 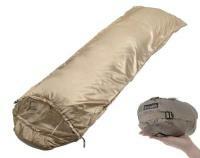 Mosquito Net: Built in Mosquito net zips up to close the entire bag around the face, or rolls away when not in use. 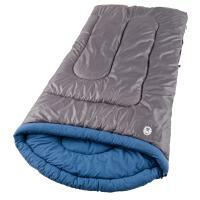 Square Bottom: Zips out fully to enable it to be used as a blanket. It is an excellent product, very good service and good shipping rates. I will buy again, Thanks!